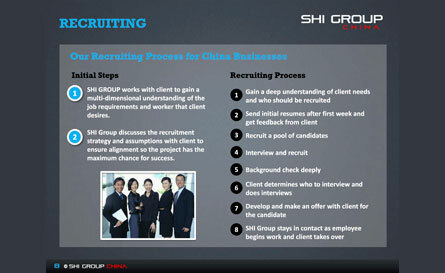 SHI Group China, a focused recruiting agency in China, conducts searches at the executive, managerial and professional level. Our expertise as a recruiting agency in China enables us to understand the labor pool you need and how to get them interested in what you are doing SHI Group China’s further distinctive is that our standard background check on average identifies 72% of the candidates as untrustworthy. 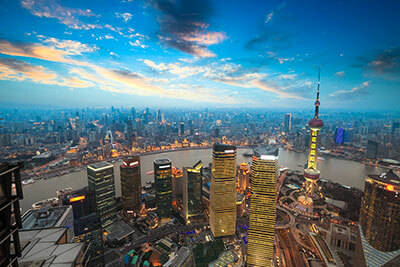 Contact SHI Group China to assist your business with recruitment and dedicated workers in China. Our team at SHI Group China combines the scope and reach of international search firms with the high touch, and personal service of a boutique recruiting agency in China. When we have surveyed our clients after completed searches. They repeatedly tell us that it is our amazing transparency and persistent attention that keeps them coming back to us. Of course, that would mean little if we didn’t meet our primary objective—finding the right candidates for our clients time and time again in an expedient manner. We work confidentially and discreetly. We do not post details of our assignments on websites or social media sites; nor do we publish a list of whom we place or where individuals are placed. Quality, professionalism, integrity, confidentiality and personalized service are at the core of who we are and what we do. We utilize our proven expertise in the search process to ensure our clients successfully identify and recruit the most qualified and trustworthy senior leaders. Working with SHI Group China means working with a team. Our executive searches are more than transactions—they are genuine relationships. We are always straightforward in our counsel while always keeping the best interest of your organization in mind. 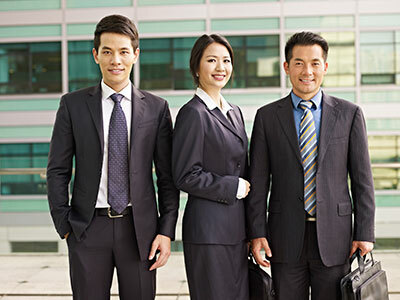 When you choose SHI Group China, you choose a dedicated recruiting agency in China with a defined process for seeking out and delivering the right talent for your organization. SHI Group does this by interviewing for 90 minutes or more to set up the next step. We then do a unique background check that kicks out 72% of our candidates. SHI Group communicates proactively with our clients, ensuring the client stays informed and the search stays on schedule. We also bring ease and efficiency to a process that can be extremely complicated and time-consuming. Our team takes an aggressive, hands-on approach to recruiting talent. We utilize a defined, proven process with clear benchmarks, so our clients always know where we are in the process. At SHI Group, every client is important and each engagement is unique. We are a recruiting agency in China that works closely with clients to understand their goals and objectives. We also challenge your thinking to ensure the right leaders are discovered to achieve success. Our team tailors our global resources and specialist expertise to each client’s organizational, leadership and talent priorities. At SHI Group, client service and a strong recruiting process inform everything we do. Further, we manage global teaming and key account management, and continue to enhance our own sector expertise. Also, SHI Group continues to gain new leadership insights and client collaboration and service thought. Our expertise is both broad and deep. Every consultant at SHI Group China has deep sector and functional expertise supported by local, regional and global knowledge. Our collaborative teaming results in conversations that define the bigger picture as well. We track the impact of economic policy, government regulation and geopolitical factors. Further, we balance that with client needs and objectives regarding leadership placement. These strengths bring clarity to the complex challenge confronting our clients: having the right talent, in the right place, at the right time. Our ethics are the foundation of our reputation as a recruiting agency in China. While maintaining transparency with clients by sharing research and candidate information, at SHI Group China we abide by the core value of confidentiality. As China does not allow independent contractors, and not every company has the need to start their own organization in China, SHI Group has gained explicit permission to carry dispatch workers on our license for our clients. Through a high level of involvement and straightforward communication, SHI Group China has become a trusted advisor to a growing number of repeat clients. With the finesse of a boutique specialty firm, our firm has carved out a niche in senior mid-level placement for dedicated workers and dispatch employees China. Our specialized “hands-on” approach assures each client unsurpassed commitment and quality of service. SHI Group’s client service philosophy is one of partnership. Our firm carefully selects its clients to ensure that each partnership remains a priority and results in success. We are best known for our ability to clearly understand our clients’ critical objectives. Also, we select the people that would best match the essence of their organization’s culture. Partnership and clear communication are critical to the successful recruitment and retention of senior executives. While our firm has built an international network of contacts, we are also proficient at developing new sources of talent to maintain a vital and deep candidate pool of Trustworthy Talent®. Furthermore, we totally focus on China and have a strong process that fits this context. SHI Group’s team is uniquely qualified to effectively and tenaciously recruit from the highest quality companies. Through dedication and insightful judgment, we have elevated the process of recruitment to an art form to successfully serve our clients. We help transform companies and build value for our clients every day. Years in the recruiting business within the China market have honed our natural gift for recruitment. We also deeply desire to discover remarkable individuals who can serve as your dedicated workers and dispatch employees China. We’ve gained a greater insight into human nature and the needs of business. Over the years, good judgment has evolved into excellent judgment. SHI Group China has developed a comprehensive methodology and search process that allows for flexibility and a customized approach for each client.